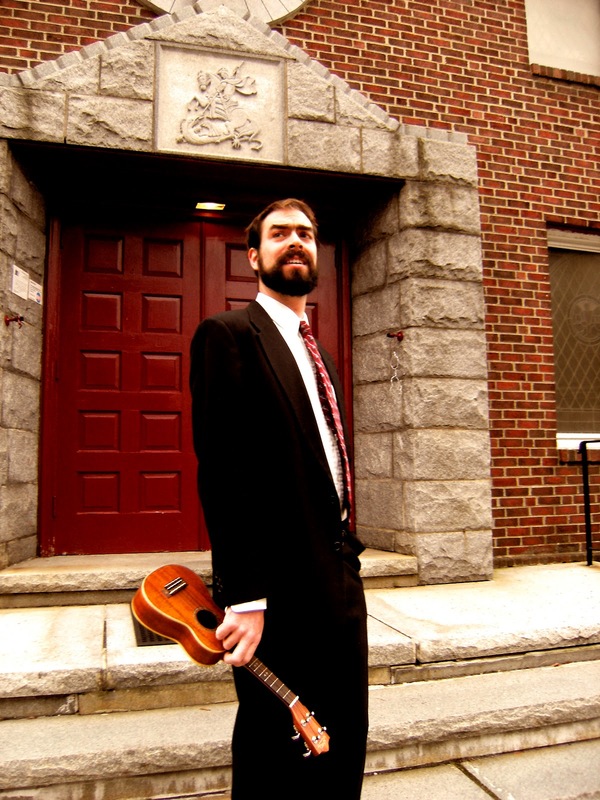 Aaron Lee writes and performs ukulele music that is fun and different. 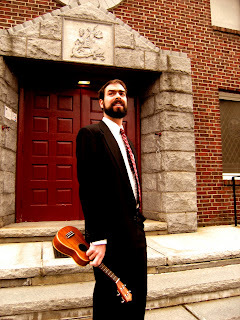 He has toured all over the United States and Europe and is known for the Ukulele by Bicycle tour, where he cycled between shows in support of community, sustainability and local action. His music is guaranteed to leave you with a smile on your face and a ukulele song in your head. Just a quick note to let you all know about some upcoming shows. If you know anybody in these areas that might be interested in quirky, witty, original ukulele music, please forward the details along to them. If you're not my facebook fan yet, you should get on that. My status updates are riveting. You should probably also follow me on twitter because my tweets are riveting too and sometimes different than my status updates. In November, I was pretty happy to stop touring around on the bicycle, but I'm thinking about doing it again for the summer months. The route is still up in the air and I am happy to give you the opportunity to convince me why I should make a tour stop in your area. If you want to skip mid-november gossip about Lindsay Lohan and Hugh Hefner, my segment starts at 5:25.